With a title as punkish as Hyper Jam, and a menu icon as neon as the 1980s series Miami Vice to boot, I didn’t quite know what kind of game I was in for. Turns out it’s a top-down arena brawler by way of Smash TV, or more appropriately, Capcom’s Power Stone, where your task is to pummel your opponents until you’re the last one standing. 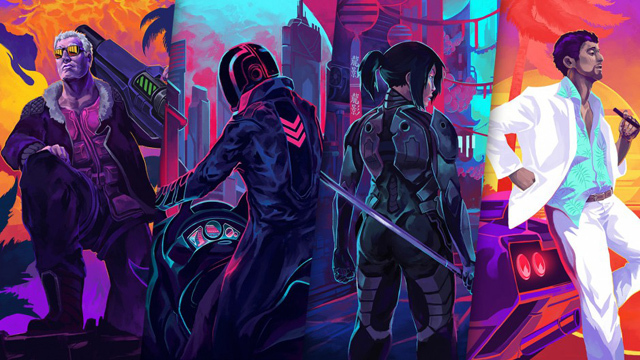 Aussie developer Bit Dragon makes it stand out with its hyper-80s influenced art style, but how deep does Hyper Jam go? 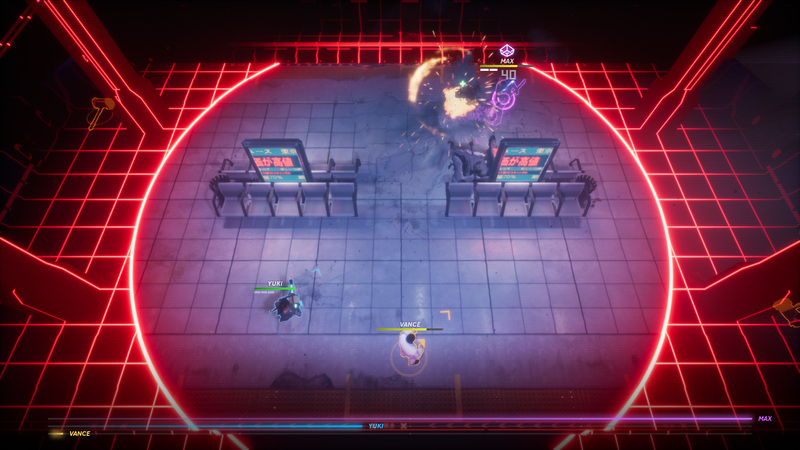 Hyper Jam‘s hack-and-slash combat relies on either direct fisticuffs or picking up some powerful items that litter the stage in battle. The combat feels solid overall, a fast-paced blend of punches and mad dashes with items that mix long range bows and missiles with close quarter ninja swords and hammers. 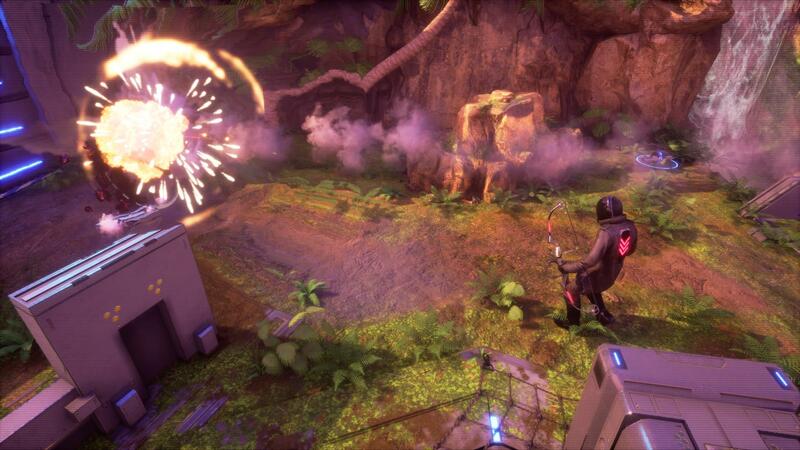 Combat lives by the “easy to learn, hard to master” ethos, and battles can get really frenetic, really quickly. And the fun doesn’t end just because you get knocked out early; firing a laser blast at surviving fighters keeps you an active participant, even if actually connecting with them can be tricky. The most distinguishing twist in Hyper Jam‘s execution is how matches are constructed. Winning raises a meter up, and when it’s full, you must win the next match to end the game. In theory, this could make games last for untold hours. If I found I was getting my teeth kicked in within the first round, the perks offered between every match helped make my avatar more than the sum of their parts and add variety to the proceedings. These perks consist of useful things like extra health, the ability to freeze or burn opponents, or even survive a critical death blow made winning more tangible. 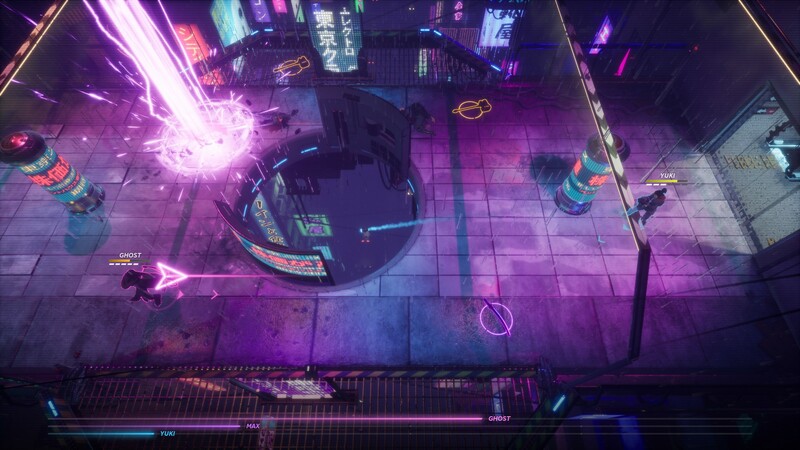 Hyper Jam itself looks fairly lovely, with visually distinct, detailed maps offering a small variety of hazards and danger zones, including edges to fall off and, my personal favorite, a subway train that will careen you into the air if you go out of bounds. 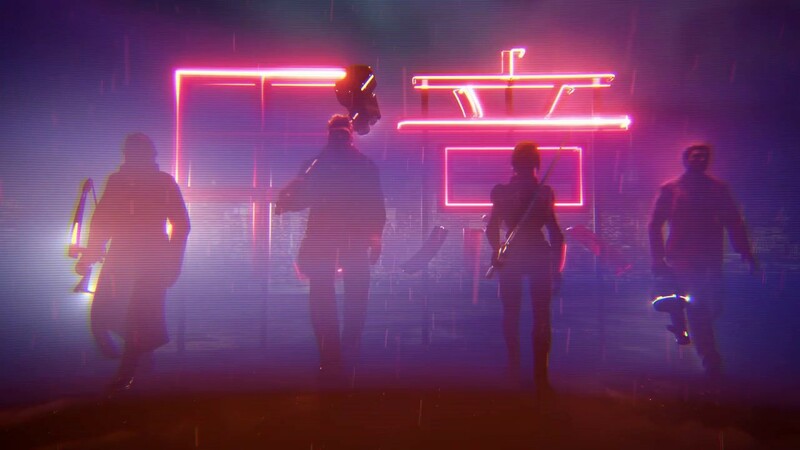 The heavy neon ’80s permeates the look and sound, including the playable characters and especially in the banging techno soundtrack. Character designs are hip and trendy trope machines. The similarly neon menus follow suit in their simple functionality, offering some much-appreciated customization options for more pro-battles, like items-off and higher score barometers to reach. For as good as the mechanics and aesthetic are in Hyper Jam, the game itself feels rather slight. With only four whole characters and six stages, you’ll see everything Hyper Jam has to offer within an hour. 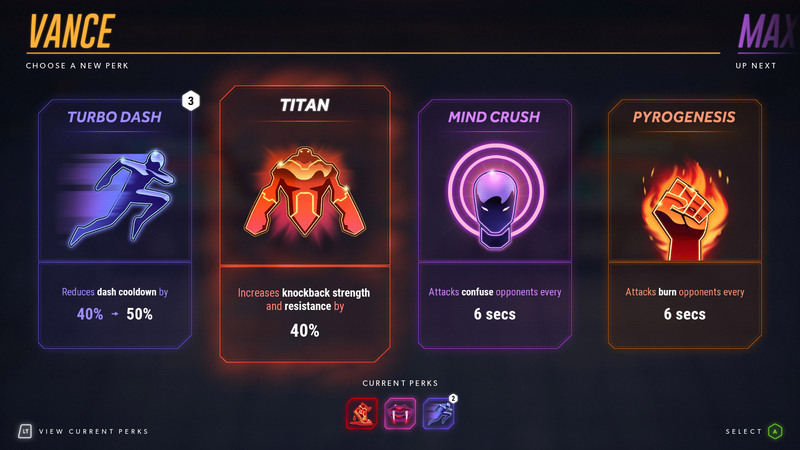 Leveling up between matches only grants new taunts and skins for every character, which is not a whole lot by my estimation. Besides a single tutorial, there are no additional single player modes for, say, honing your abilities or experiencing a story-based narrative. In addition to up to four local players, there is online play, including promised cross-play with other platforms and PC, but alas, I was not able to test that for the review. Incidentally, Hyper Jam has less content than even retro fighting games like Street Fighter II, and that was over 25 years ago. Without much variety, the proceedings of multiplayer can only take you so far. Otherwise, your time with it is proportional to how much fun you and your pals have. And play with friends you should, because CPU bots, even on easy, are way too punishing. The core combat and structure of Hyper Jam‘s hyper-kinetic battles are sound and fun in and of themselves, but there’s just not enough meat on the bones. I had fun getting used to Hyper Jam‘s particular depths in the four hours I played, but wish there was more to see and do. At $15 on consoles (and a slightly discounted $13 on Steam), I can’t say it’s not priced appropriately as a budget line multiplayer game, so make of that as you will. I hope the developers can flesh out Hyper Jam down the road with more of everything, because that would give this colorful, fun arena fighter a much longer shelf life.